Why does this item cost “this”? How do you determine your price? Negotiable? First, for a comparison basis, browse sterling pendants online where you can find the cheapest ones like k-mart. You will find a 1.6 gram 3/4″ diameter (supposed .925 silver) mass produced Saint Christopher pendant there for thirty bucks plus tax. These are made in China and are most likely made from a silver clay or “paste”. Injection molded into mass molds and then baked. This injection mold product is used in leau of actually melting and pouring silver for obvious reasons. The results of these pieces I have tested are below .925. I use fine .999+ pure silver. I will also use .925 on occasion when I need a different contrast or strength. My pieces weigh from 5 grams to a whopping 15 grams of silver but, the silver is not the bulk of the cost for each and every piece. Believe it or not, the materials to make one of my items exceeds over half my asking price. Since I don’t have a storefront and I don’t drive around trying to sell my stuff, my overhead for sales and marketing is minimal. I do have a separate shop completely set up for this and there is a lot of specialty jewelry tooling required. Blades, wheels, papers, chemicals, polishes, stones, oils, bits, files, casting sand, oxygen, acetylene, bags, rags, towels and many other DAILY consumables are gone through as well. So, what is art worth? What is MY art worth? Relevant questions which are not actually considered in my pricing. Direct answer is the fact that I base my pricing on materials before any other consideration. For instance, I sell a turtle for $80. I have made this item completely from scratch with great care. This takes around 10 to 12 hours for one turtle. The materials are about $45. Final cost before marketing is about $55. Honestly, I wish I could sell my items for less but, I cannot cut into our family’s grocery money, I must contribute. Hand casting using traditional methods is very difficult and very few people do this. Heck, there are only 500 blacksmiths in the U.S.. So, is my creation worth twice the cost of materials? Many seem to think much more than that. The $2 to $4 per hour I sometimes make is just enough to keep it going. But, the face of the recipient of one of my items is priceless. Why else would I do this? I am an unknown artist. I will persist. This is what we do. There are those however, who need MORE of a basis for comparison. Some folks may need to have the difference between my work and expensive cookie cutter jewelry explained a little more. Should this be you, just walk into any-mart, a department store or “high end” mall jewelry store and check out the jewelry. You will NOT find .999 fine silver. You will NOT find hand made items let alone hand cast. *You WILL find silver plated and SUPPOSED .925 silver. You WILL find a $100 piece that was mass produced for the lowest possible cost and materials. You WILL find that item weighs at least half of one of mine, for the same price, half the silver. You should know that many of these places pay AT LEAST $10,000 a month for rent for a small store in the mall. I have been guilty of purchasing from these places in the past. I learned the hard way. So, it’s all about what turns you on but, when you are going to wear an item, should it not be as special as possible? I guarantee that EACH AND EVERY ONE of my items are made with positive energy, love and great care. With great moral support from my wife, I plan to continue exposing unique items as they manifest, full time. Support the artisan that floats YOUR boat! Not the ones coming from overseas factories. .999+ pure silver is just beautiful. The deep luster and strength make it a great medium to create jewelry and art. 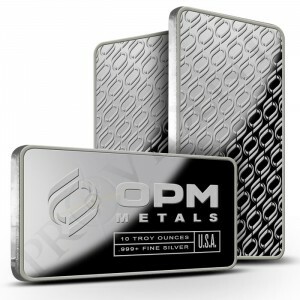 I prefer to use ONLY .999+ fine silver when I create a new piece and I pay a premium. When I stamp .999 on the back of my item, you can rest assured that it is the finest silver available. *I have tested relatively expensive items stamped .925 as low as .820. Some were even lower or plated! Be very wary of mass produced “silver” items folks!